... that a mating pair of snowy Egrets can recognize each other only at the nest, and the returning egret has to perform an elaborate greeting ritual to save itself from being attacked as an intruder! The Snowy Egret (Egretta thula) gets its name from its all-white plumage. It's a majestic bird that was hunted in large numbers during the nineteenth century for its soft breeding plumes, which were used as an adornment for women's hats. In 1882, the price of the plumes was $32 per ounce, which was twice the price of gold during that time! This continued till 1910, and almost led to the extinction of these beautiful birds. It is known by other names like Lesser Egret, Little Egret, Little Snowy, Little White Egret and Little White Heron. In this article, we shall look at some little-known facts about this beautiful bird from the heron family. 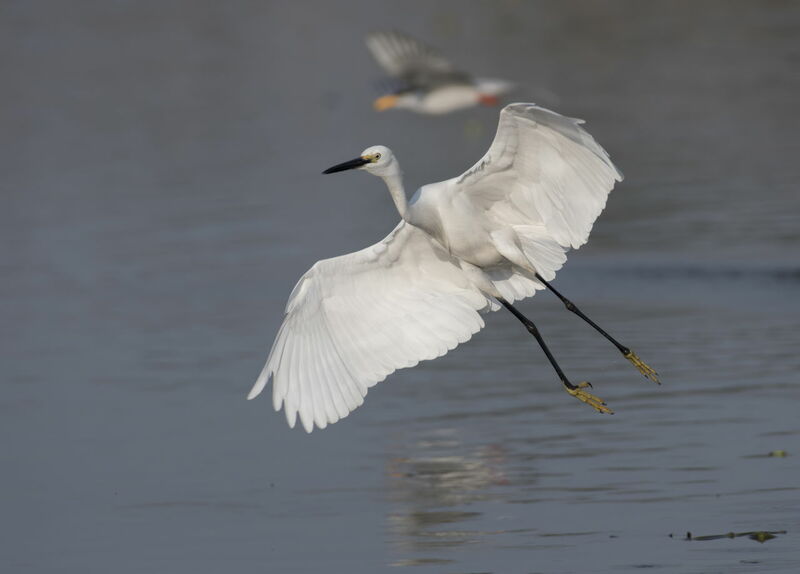 ► It is a medium-sized white heron that is distinguished by its slender black bill, black legs, and yellow feet. It closely resembles a juvenile blue heron, except for the yellow feet. ► The eyes are yellow. ► The birds weigh up to 370 grams or 13 ounces, and are 20-27 inches in length. During flight, the wingspan reaches 41 inches. ► The base of the bill, close to the eyes, is yellow, but turns red during the breeding season. ► The male and the female have a similar appearance. ► The juveniles are similar to the adults in appearance, except for a green or yellow line that runs down the back of the legs, and a paler base of the bill. ► During the breeding season, the adult birds develop long, curved plumes called aigrettes, on their back, neck, and breast. The silky plumes that appear as a crest, lend a 'shaggy' effect to the bird. 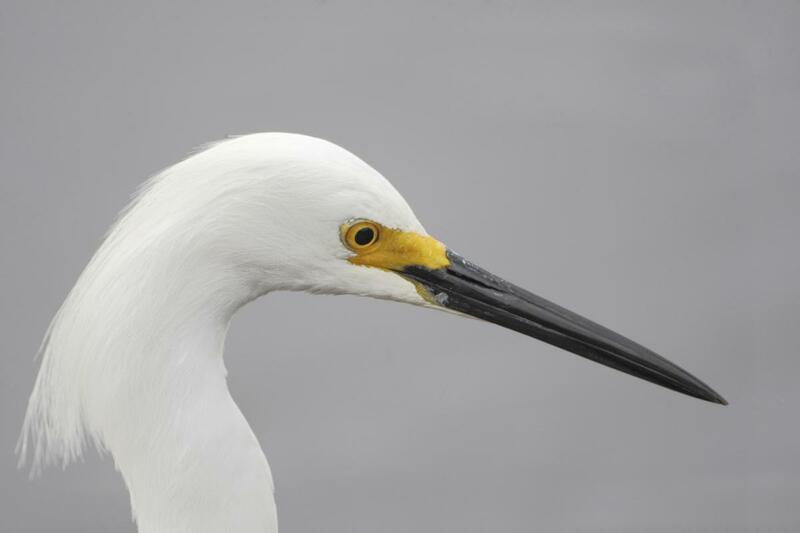 ► Like most other herons, the neck of the Snowy Egret is in the shape of an 'S' during flight. ► The Snowy Egret has a wide range of habitat, that includes marshes, swamps, ponds, lakes, shallow coastal areas, mangroves, and even dry fields. ► They are found all over North and South America, including Southern Canada, the United States, Central America, West Indies, and Argentina. ► They reside permanently in the warmer regions, but the birds that reside in the north, migrate to the West Indies and Central America during the winter months. ► They are carnivorous birds and feed on a variety of small creatures, such as small fish, fiddler crabs, crustaceans, snakes, young frogs, small lizards, crayfish, terrestrial and aquatic insects, snails, and aquatic vegetation. 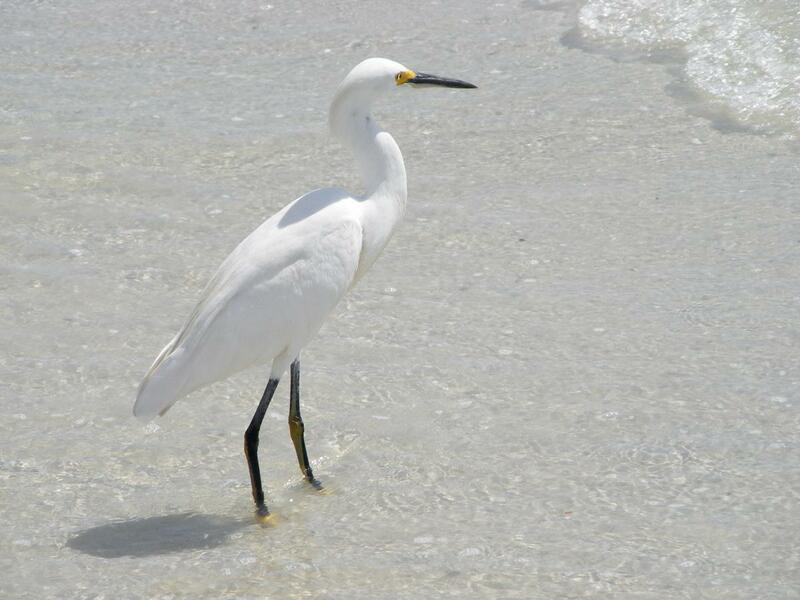 ► In a behavior displayed by most herons, the Snowy Egret also stands on one leg and waits for its prey. 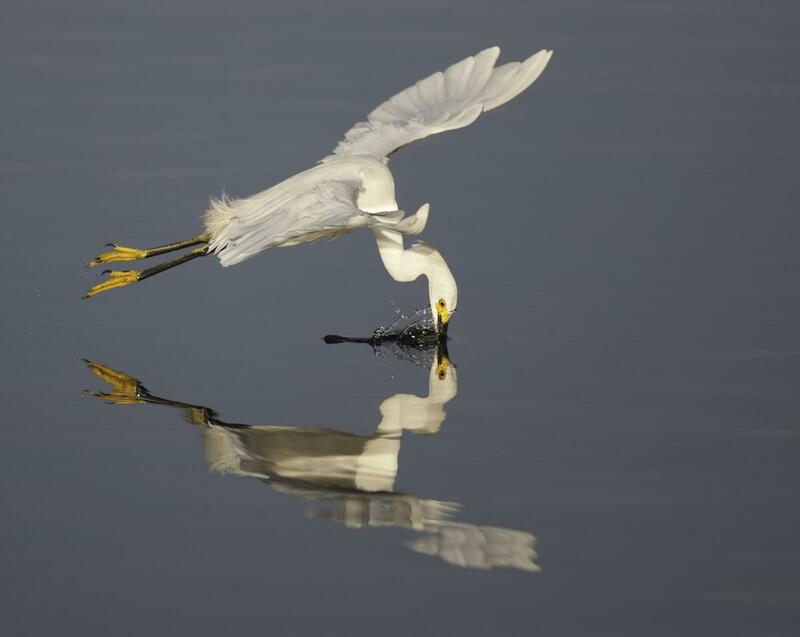 ► These birds have been observed to hover above shallow water bodies, and on sighting a prey, they swoop down to catch it with their pointed bills. ► They are known to chase fish before pouncing upon them from above, and also startle their prey by sudden body and wing movements. ► They have multiple foraging and feeding strategies, which include standing, walking around slowly, and stirring the water with their feet. 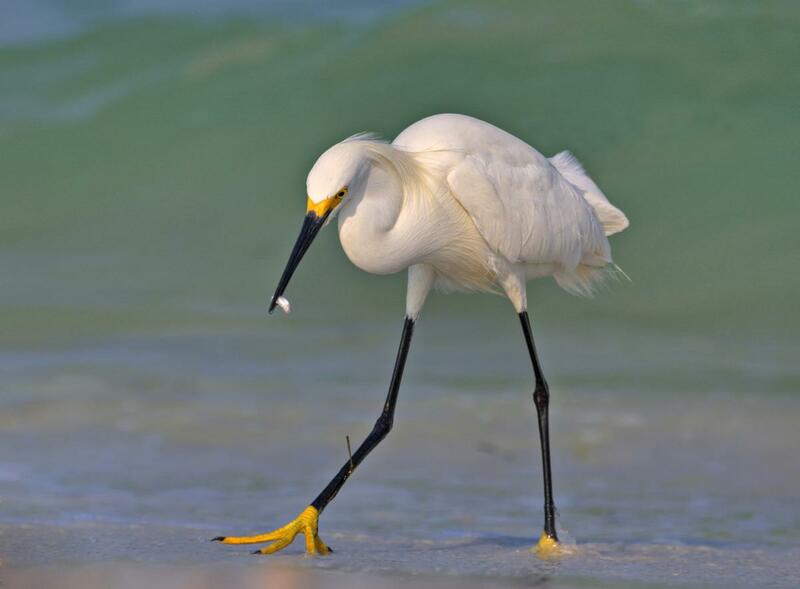 ► The bird walks upright during foraging, and beats its wings during flight. ► These birds attain sexual maturity when they are 2 years old. 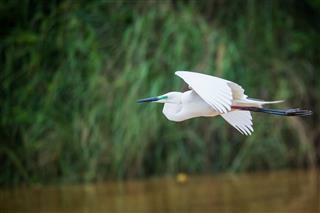 ► They are colonial, and nest in colonies that also comprise other herons. They nest in both, saltwater and freshwater habitats. ► The breeding season is during spring, and extends from March to April. ► The males are the first to arrive at the nesting grounds to claim their nesting territory. The courtship ritual consists of vocalizations and elaborate displays by the males, after which, mating pairs are formed. ► The female builds a flat, shallow nest with twigs and sticks brought in by the male. ► The nests are flat and shallow, and are built in shrubs and small trees. ► The female lays 2-6 oval-shaped eggs that are greenish-blue, and both the parents take turns in incubating the eggs. 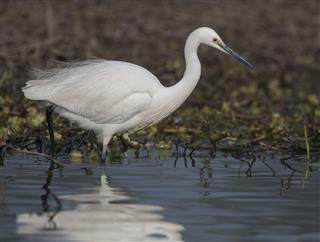 ► The young egrets emerge after 20-24 days, and are still cared for by the parents. They leave the nest after a couple of weeks. 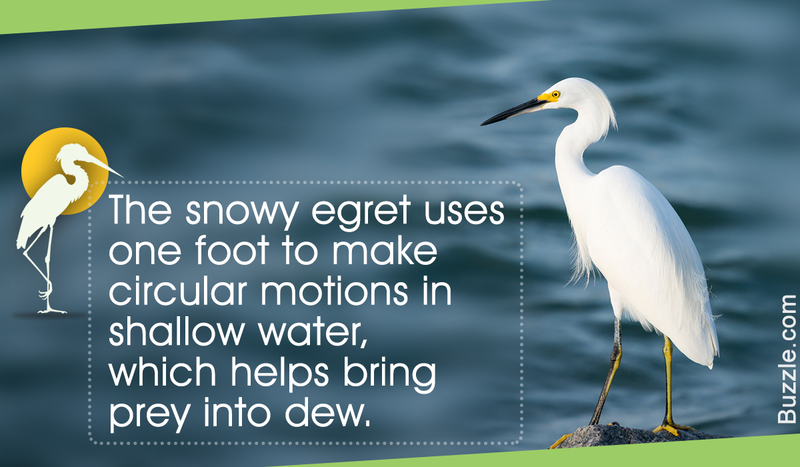 There are many collective nouns used to describe a flock of Snowy Egrets, and these include congregation, heronry, skewer, wedge, etc. 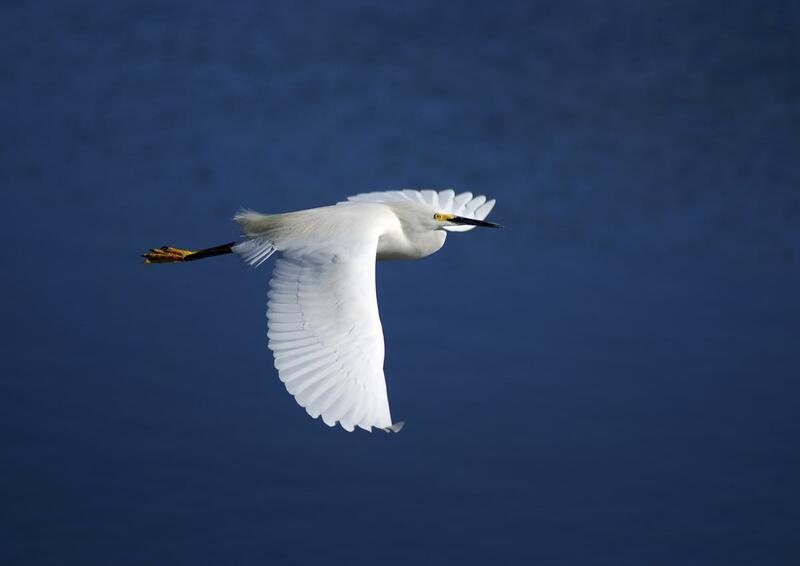 The bird is now protected in the United States under the Migratory Bird Treaty Act.